The influential Guido Fawkes blog disappeared from the blogosphere this morning. Has its author finally succeeded in getting himself blown up? I didn’t see something this morning [Saturday April 26th 2008]. I didn’t see a blog on the web. I was looking for the latest posting from a political blogger described as one of the most influential around. The blogger goes under the name of Guido Fawkes, in homage to that earlier revolutionary figure Guy Fawkes. This Guido Fawkes has acquired a bit of a cult status among bloggers. He has been attributed with breaking political stories which eventually have impact in the real world. For example, he can claim credit for starting the stories about a damaging bit of naughtiness by Peter Hain, during the campaign to replace Mr Prescott (arguably also caught in e-flagrante. 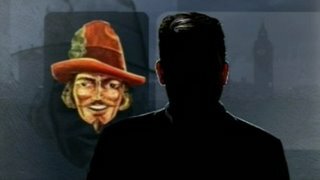 The convenience of pseudo-anonymity was blown most obviously in a Newsnight interview, after which a Mr John Staines claimed that he was indeed the blogging Guido Fawkes. Despite the pantomime of the shadowy, unidentified mystical figure sitting in the studio, which everyone in political circles knows is Paul Staines; and Paxman’s usual put-them-on-the-back-foot opening gambit of “Why do you insist on this preposterous charade of sitting in a darkened studio?…” or words to that effect, the central question being raised by Paxman and Michael White, of the Guardian, was a crucial one. That Guido as a blogger can say pretty much whatever he likes and that newspapers, TV and more traditional media have all kinds of pressures and restrictions on them which prevent them from being so loose tongued. Which remains the central point of the blogging debate and of this post. Anyway, this morning there was an item on the BBC webpages which again referenced the egregious Guido, which prompted me to follow the link to his web-site. Not available. A bit surprising, but it happens, so I tried a few other ways to locate his site. Same results. Guido was no-where to be found. Only if you believe in conspiracy theories. I’m on the opposite side of the world on this one, as far away as possible from believers in Lady Di assassins, cover-ups of alien visitors, Masonic plans to rule the world, and so on. But I found myself wondering if Guido has been taken out of the game, having gone too far. Something he has done, or was about to do called for swift action. It would have taken some clout to do that. The sort of influence required to ‘persuade’ Google to operate a censorship filter to prevent its zillions of users in China from accessing the sort of information available in the West. A Mr Big has nobbled Guido. Or maybe a Ms Big ? [Later] UPDATE : It was a glitch. A debate going on about the merits of blogging, and its willingness to transmit (and create) unsubstantiated, and mainly scurrilous stories. It was touched on in the Tunbridge post above on the kind of virtual world whose inhabitants can write ‘pretty much what they like’. The BBC story prompted me to take a look at the Guido Fawkes site was about a hoax purporting to be reporting the resignation of a government minister. Beneath it was a link to a spoof Harriet Harman blog. The site ..appears to have been taken off-line following the discovery of the rogue message, which was highlighted by the widely-read Westminster gossip blogger Guido Fawkes. Last year, Conservative housing spokesman Grant Shapps was targeted by hackers who broke into his YouTube account to post a message under his name saying the party could not win the Ealing Southall by-election. In 2006, David Miliband [environment Secretary at the time] was forced to shut down an experimental wiki site after it was bombarded with surreal and abusive additions. These examples seem to be indications of assorted behaviours, including creative if malicious japes, to the web equivalent of graffiti, passing off, and evidence of the wisdom or otherwise of the crowd. One of the few clear aspects in the debate is that no simple answer seems to be adequate. At present, bloggers have a well-earned reputation as purveyor of unreliable stories. In keeping with the interests of this particular blog, I find myself arguing that the development of the blogosphere comes with its particular context of social action. Through it, in ways we are still trying to understand, ideas gain credibility in the old world of modernity, with its traditional concerns about truth, reality, and morality. Some ideas take hold. This happens probably because of what people are inclined to believe, which itself indicates something about deeply-held fears and hopes. On this line of reasoning, celebrity bloggers like Guido Fawkes are the bloggers we subscribe to, and are the thought leaders we create and deserve. The hackers, and jokers come as other denisons of the new blogospheric territories. These ideas present the case for the virtues of cherishing freedom of expression in the interests of social and economic good. However, I wish I could agree with Guido that ‘everything is backed-up and will be restored in due course…’ That would be very nice. Paxman Patronized by Politician. Man bites dog? Late last night, I witnessed an unprecedented and unprovoked verbal attack on a BBC employee. It took place in a near-deserted conference hall at Bournemouth. The aggressor was the young and newly-appointed Foreign Secretary, David Miliband. His victim was the aging public servant Jeremy Paxman, who has suffered similar attacks down the years, while carrying out his duties as a distinguished political interviewer. It was typical that Paxman was disgracefully portrayed as a gruesome and sneering figure in the infamous Spitting Image show. Mr Paxman was at a grave disadvantage during the exchange. He had courageously left the relatively secure location on the Newsnight studio, and entered a dangerously open space for the interview. The aggressive young politician, clearly looking for trouble, had taken up an arrogant and insouciant posture, on a plastic chair. His interviewer, handicapped by the various bits of equipment required for him to carry out his duties, had been placed in a relatively servile position. This would have been evident to any observer of Celebrity Big Brother body language. At one stage, Miliband’s distainful manner got through to his innocent victim. ‘Don’t patronize me’, Mr Paxman cried in despair. But his plea for mercy was too late. Quite clearly, he had been bullied into submission. Later in the interview he could be seen staring into space. Maybe, in his prime, his posture could be interpreted as part of a well-known strategy to unsettle an arrogant interviewee. But that was then. Yesterday it looked more as if there was not a lot going on between those glazed eyes. The brutal attack on him had scored a technical knockout. Outrageous. In future, will Jeremy be able to operate in quite the same much-admired fashion that had earned him such celebrity status? Perhaps Mr Miliband was still over-adrenalized from the heady experience of making his speech to Conference. Clearly he was spoiling for a fight. [How far away, I thought, from the graceful and courteous way that Douglas Hurd would fulfil his duties as Foreign Secretary, in the long-gone days of Margaret Thatcher’s governance. However robustly he would be pressed on behalf of the people, Mr Hurd always respected the fact that the interviewer was only doing his or her duty]. How different, I further mused, from the graceful exchange between Mr Paxman in his younger days, when taking on the guileful Home Secretary Michael Howard. The polite and insistent repetition of the same question by Mr Paxman. The polite refusal to answer it by Mr Howard. The basic move repeated in a seemingly unending exchange. But that was also a long time ago. We are living in times when politicians may even see political advantage in dissing public servants. This is of some interest to readers of this blog. I like to think of us as a community concerned about leadership behaviours. I suggest that the cruel behaviour of Mr Miliband requires a firm leadership response. In the interests of the nation, Mr Brown should insist that Mr Miliband should apologize to Mr Paxman and the BBC and promise to reform his ways and treat much-loved national icons with appropriate respect. More, I call for a public enquiry to see whether our much-loved national icons require additional protection against violent behaviours of interviewees. Something must be done before careers come to a premature end. Foreign Secretaries come and go. But there’s only one Jeremy Paxman. Surely he can be permitted to continue in the sunset years of his career, without vicious bullying from the supporting cast of actors? In another challenge for the Government, the new Foreign Secretary David Miliband faces his first international incident. The episode can be traced to the death in London in mysterious circumstances of the Russian political dissident and activist Alexander Litvinenko. Mr Litvinenko, a former KGB agent, died of exposure to radioactive polonium-210 in London in November 2006. The trail led to Andrei Lugovoi, another KGB agent still living in Moscow. Efforts to investigate the case further led to escalation into a political dispute. On Monday July 16th 2007, The BBC reported that four Russian diplomats were being expelled expelled from Britain. Mr Putin has already indicated strong rejection of the claims and the British actions. “London’s position is immoral. Such provocative actions masterminded by the British authorities will not be left without an answer and cannot but entail the most serious consequences for Russian-British relations”. So where does chess come into all this? Chess hasn’t come into the story all yet. I am just continuing to build a case that Chess is a powerful lens through which to examine strategic issues. Dmitri goes so far as to say that Moscow is not interested in ping-pong diplomacy. Quite right. That’s more the approach favored by Chinese leaders of recent memory. But Chess. That’s different. Remember Ian Fleming’s celebrated tale of the Russian Grand Master hauled out of a chess tournament to bring his brilliant mind to bear on a tricky stategic problem? May even as I write, something like that is going on in Moscow. Although it sure as hell will not be Gary Kasparov at work. He is already bending his brilliant mind to strategies for opposing Mr Putin. Incidentally, the image above comes from The Kuwait Times of April 15th 2007. It shows Gary (back to camera)engaged in his new career as a politician. So what strategic insights might be revealed as we extend the chess metaphor? I must add that this is no attempt at black humour, and I do not deny the real-life seriousness of such a ‘game’ that led to the murder of Alexander Litvinenko, and arguably other murky activities and plans. Assume the players are London (white) and Moscow (black). The game has been in play for a while and we pick up the position recently. The pawns were no direct threat to London. The move invites a reply from Moscow. Prior moves suggest that London would like Moscow to give up Andre Lugovoi. Moscow has indicated it will not make this move in response. 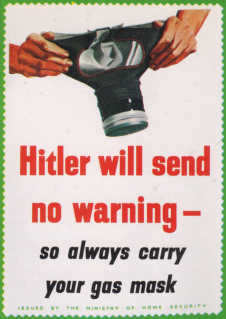 London’s move is therefore to be viewed not as a direct threat forcing a reply, but as a move with a concealed threat or intention. All quiet at Westminster: time for a non-futile gesture? The political scene in the Westminster village has gone rather quiet ahead of next week’s regional and local elections. Might this be a good time for a non-futile gesture of political leadership? In contrast to the excitement across the channel, there seems to be a dip in energy from the normally exuberant posse of our own much-loved political journalists. Perhaps they are preparing for next week’s regional elections without the sniff for any juicy story. From a Westminster perspective, Scotland is a long way away, Northern Ireland has become temporarily a surprise-free zone politically, Wales is closer but even less likely to provide much in the way of an ephemeral headline nationally (i.e. in the media located mostly close to the dominant London hub). Tony Blair has lingered so long after announcing his eventual departure that his remaining weeks as PM are long even in politics. Gordon Brown is concerning himself with more Prime Ministerial matters. These are no longer reported as stories of his departing from his brief as Chancellor of the Exchequer. No-one really wants to take on Gordon in a leadership fight to replace Tony. The newest boy David Miliband has convinced even the press that ‘I am not standing’ actually means just that. David Cameron is no longer a new figure offering surprises to observer, followers, or opponents. His presentation of a young and reforming leader is consistent, but no longer newsworthy. His leadership honeymoon is drawing to a close. He resists offering specific stories around policy promises, as these may offer hostages to future fortune, something he has made clear will not happen. This is an interesting and calculated leadership decision. Appearing to do nothing, can be as tough as acting decisively (when is decisiveness little more than a nervous twitch?). It is a decision which can hardly have been taken lightly, and sustained, without him coming under pressure from those disposed to take more direct action. It must be irksome to have to face continued assertions that the Cameron brand of Conservatism is more than a bit policy-lite. Time for a non-futile gesture? If I understand the military principle, surprise is an excellent factor in a successful attack. It’s certainly a good strategic principle for chess players. As this seems to be a rather quiet time politically, in the United Kingdom, might it not be the precise time for an unexpected political move? Such an attack might be carefully planned or opportunistic. The opportunistic action is more likely under hard-to-predict and turbulent circumstances such as the heat of battle. Even then, I suspect that the successful leader has fought the battle a thousand times, and draws on a rich set of stored mental frames of maps. In quiet times, there is maybe more to lose, and less chances of initiating a successful political maneuver or tour de force. There is never a good time for a futile gesture. But is this a good time for a non-futile gesture? I rest my case. But I’m not holding my breath. The Budget, and the Battle: Which leader will create the more powerful myth? Gordon Brown’s eleventh budget has been widely assumed to be his last, and an opportunity to indicate his credentials as a future Prime Minister. Its presentation permits a comparison of the leadership images or myths which he and David Cameron are concerned to project. Gordon Brown makes his eleventh Budget speech. The prelude had been inauspicious. The Turnbull story has persisted, mainly as evidence corroborating Brown’s image as an arrogant control freak. A few journalists suggested that the story might be taken as more positive for Brown, and evidence of a leader unprepared to suffer fools gladly. I listened to the budget speech while driving from a late-morning meeting. Brown constructs speeches like the Germans build luxury cars and compose classical Operas. The products are impressively. Purposively designed, and fit for purpose. This one was no exception. A leitmotif recurred by way of ‘then and now’ theme, ‘then, being was 1997 when the Conservatives were last in power.. ‘now after nearly ten years of economic success under New Labour’. This device was interspersed with a more complex yet related theme around ‘past present and future’ conditions. The delivery was in an appropriately major key. The effect was that of a series of percussion blows. The speech was well up the scale on information, and down on rhetorical flourishes. It put each of its items in that ‘then and now context’: inflation then, inflation now: investment then, investment now, unemployment then, and so on. Current Conservative counter-proposals were swatted aside, as a sorrowful head teacher might summarize and correct errors encountered while assessing homework assignments. To reward work, to ensure working families are better off, and to make the tax system fairer, I will from next April cut the basic rate of income tax from 22p down to 20p. The lowest basic rate for 75 years. Cut basic tax! Surprise and delight on the Labour benches. Mr Brown had stolen the clothes that Conservative traditionalists worried that David Cameron had discarded. Later, I caught up on the spectacular visual impact the ending produced on the House. David Cameron takes the floor. Despite valiant efforts, he was unable to build on the weapons provide the previous day by Lord Turnbull’s reported remarks. Just you wait, he seemed to be saying, you and your gang will get it for your sneaky ways. You’ll see. If not now, after School is over. His sallies sounded even less effective as he redirected them towards more junior members of the Government team, such as the even younger Boy David, the Secretary of State for Environment, Food and Rural Affairs. David Miliband winced as if embarrassed by such an expression of poor form. Why pick on the first-formers? [You can see David Miliband’s youthful features on his very own blog, which he seems to have built using his very own pocket money]. I have scanned newspaper headlines, followed the debate conducted in political blogs, and listened to a fair sample of callers to phone-in broadcasts. The Basic rate cut does grab headlines, with appropriate contextualization. Right-leaning papers echo the Conservatives (‘It’s a con … all smoke and mirrors’). The Guardian, the paper that has been reporting Gordon Brown’s unpopularity in predictive polls in recent months, is warm in its praise. The Institute of Fiscal studies considers that around 20% of families will lose out, spread rather widely across the spectrum of incomes. Bloggers and callers to phone-in programmes have tended to be driven by motives of disappointment. I’d estimate that more than 80% of responses have come from those unhappy with what they have received (or not received) from the Chancellor. The Game’s afoot. The Boy David suffers a setback, as his opponent girds himself not so much in the armor of righteousness as in the magical powers of transmogrification and cross-dressing. But this is no more than a skirmish. Maybe it indicates the perils of charismatic leadership. David Cameron has been relying very much on a high-profile leadership style. The credibility of his messages is very much bound up in the credibility of his public image. This makes a delicious contrast with Gordon Brown’s style. If that’s not enough interest, we will from time to time be surprised by behaviours when one or the other moves outside the simplified stereotypes we might hold of them. Which myths will matter more? According to leadership theorists, the budget presentations are opportunities for leaders to consolidate the story they wish to be remembered by. This is a partly deliberate process of myth-making. Until now, Gordon Brown has operated strictly in the mode of the rational manager par excellence. In contrast, David Cameron has been energetic in presenting himself as a Charismatic leader. But success and power can result in even rational managers acquiring the mystique of charisma. If David seems to tick the boxes for one kind of charismatic, Gordon may tick the boxes for another. One typology (by Will McWhinny) would probably locate David as an idealistic or prophetic entrepreneur such as Anita Roddick. And Gordon would be closer to rational geek as wunderkind such as Bill Gates. So there we have it. The battle will be between the leadership appeal of an Anita Roddick, or a Bill Gates. But if this were to become a party game, would we necessarily place them at the head of the Conservative and Labour parties? And who would be better placed to attract the voters? You are currently browsing the archives for the David Miliband category.